Pia’s latest pregnancy has become a daily challenge, her relationship with Dragos strained with argument. That hasn’t stopped them from achieving a compromise and traveling to Las Vegas to celebrate their friend Rune’s wedding to his mate Carling. From the moment they arrive, the trip goes awry. Death walks in Vegas, and Pia is kidnapped as an ancient enemy makes a move to destroy the Great Beast once and for all. But the Great Beast has other plans. Young love isn't always the best love. A Wolf on the hunt... Wulfgar Hahn, better known as the Wolf of Braugne, is a man on a mission. Determined to avenge the murder of his brother, he stops at Camaeline Abbey to meet with the Chosen of Camael, goddess of the Hearth. Unfortunately, it appears the Chosen wants nothing to do with him. A leader in disguise... Captivated by the Wolf of Braugne despite herself, Lily poses as an unassuming priestess in order to learn more about this ruthless man. Lorna MacKenzie lost her mate nearly 30 years ago. Dedicating her life to her children, she brushed off the thought of ever finding love again. After all, Jamie MacKenzie had been her true mate. Who could ever replace him? Ross Anderson came to Lochguard to be near his daughter and fight his cancer. Over the last six months, he's become close to one particular dragonwoman. However, he doesn't want to pursue her as a dying man. But now that his cancer is gone, Ross is determined to win Lorna's heart. As the pair fight their growing attraction to one another, the only question is - will Lorna open up to Ross, or forever hold on to the memory of her first love? What did you love best about The Dragon's Heart? I love the interaction between the MacKenzie family. The banter back and forth just makes me laugh. Maybe because that is kind of how my family is. Lorna is a favorite. I can relate to her, I guess. I lobe the way that everyone kind of fears her and she doesn’t take crap from anybody. What does Matthew Lloyd Davies bring to the story that you wouldn’t experience if you just read the book? That is hard to decide. I think that Mr. Davies does a phenomenal job with the different accents and puts a lot of effort into making sure the voices are distinguishable. Definitely, of course I say that every time. I have greatly enjoyed the Stonefire and Lochgard stories. 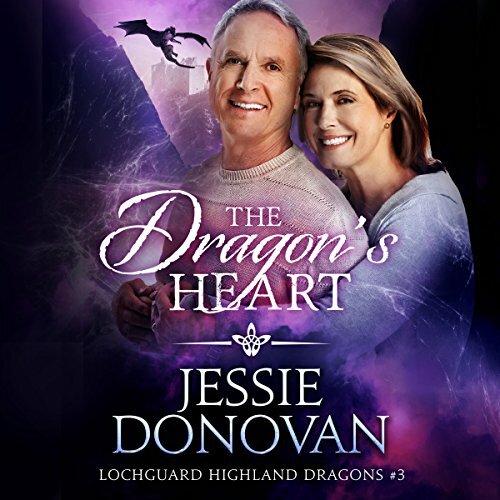 The Dragon's Heart is the 3rd book in the Lochguard Highland Dragons series and it's a very touching story of two older people, with grown children, who never thought they'd find that special kind of love so late in life after losing their other half. This is a very sweet and romantic story and I loved how not only do with get to read what both Ross and Lorna were feeling but how their families were taking this new unheard of relationship as well. Lorna's dragon was just the funniest and seemed to have only one thing on her mind. Proving age is just that 'a state of mind'!!! Although I was a bit hesitant to read the book and it took me a bit longer, as the love story was about an older couple (and I didn't want to think of my parents!). As usual, the book is perfectly written and the story is told beautifully. Love touches people at all ages and comes in the form of second chances. Short and sweet and we meet a new character! I loved that Lorna and Ross got their happily ever after and a second chance at love. Fraser being so protective over his mom was my favorite. It was both sweet and made me want to roll my eyes. 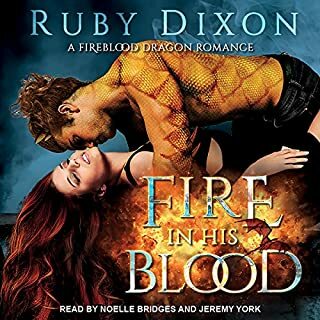 Mathew Lloyd Davies has a wonderfully smooth voice and brings The Dragons Heart to life. I just plain loved this story, it was a couple I had been wondering about so it was great to have it all come together. 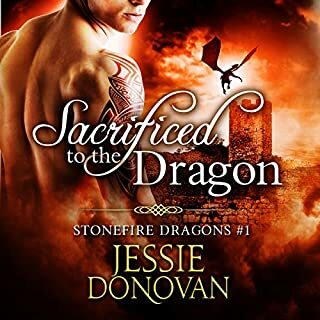 I absolutely love all of Jessie Donovans Stonefire and Lochguard books! 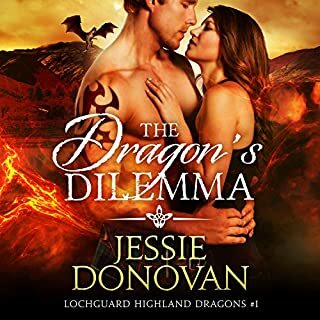 The Third book in The Lochduard Highland Dragon series Jessie Donovan never disappoints. a romantic story at a chance for second love being older does not mean you can not find love. The Dragoon Heart is a sweet and romactic story I feel in love with it and I think you will too. The Dragon’s Heart is a must have book! Lorna is a wonderful woman who has loved and lost, and has raised 3 great children, now grown. She nurses Ross, who has a death sentence of cancer, but then the cancer leaves! There is definitely chemistry there, and wonderfully written story. I won’t spoil the storyline for you *wink* And as someone who is not 20 something I’m happy to have a story of more “mature” characters. This is just a novella but is a must add to your collection. Lorna MacKenzie lost her mate nearly thirty years ago. Dedicating her life to her children, she brushed off the thought of ever finding love again. After all, Jamie MacKenzie had been her true mate. Who could ever replace him? Ross Anderson came to Lochguard to be near his daughter and fight his cancer. Over the last six months, he's become close to one particular dragonwoman. However, he doesn't want to pursue her as a dying man. But now that his cancer is gone, Ross is determined to win Lorna's heart. As the pair fight their growing attraction to one another, the only question is will Lorna open up to Ross or forever hold on to the memory of her first love? This is the 3rd book in the series and i have been waiting for it for some time!!!! I am so thrilled and so happy to finally listen to her story! Laurna is fun and finally we get to see a book about people of an older age and how they as well can find love and be happy. 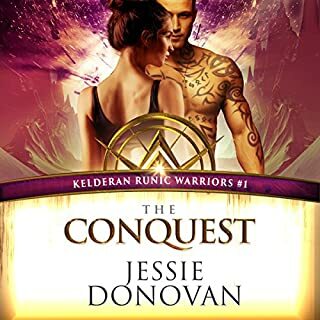 Once again Jessie Donovan gave us an amazing story that is fast paced ,full of action and my god lots of laughter. Laurna and Ross are to die for and are so well suited for one another!!!! I loved the fact we got to see the twins and all of our favorite characters and some new ones!! This story will capture you from the first page till the last! I can't wait to see more of them!!! This story is seriously cute. An older couple is a different story line but a much needed reminder that love isn’t just for young people. This book also serves as a reminder that second chances are just for the young. This story was sweet and gorgeous and I absolutely loved it. Ross Anderson has survived cancer and a move to the dragon Clan Lochguard;where, he met Lorna MacKenzie. He wants a second chance at love, but is Lorna ready to give love a second chance. Lorna Mackenzie lost her true mate a long time again in a freak accident. She agrees to care for her son's mates father (Ross Anderson) who has cancer. She starts to develop feelings for Ross, but she is not sure that she is ready to give love a second chance because that means moving on from for true mate. Will Ross and Lorna give love a second chance? I was a little concerned about this story because of the age of the main characters, but I loved this story just as much as any of Jessie Donovan's work. Matthew Lloyd Davies does a excellent job at narrating the story. This is a must read in my book. Glad to have this part of the overall stoiry. I do wish though that there was more to the story. I really enjoyed this! Lorna deserved another chance at happiness having raised her kids following her Mate's death when her youngest was born. Ross deserved happiness with what he's been through as well. I love that they both respect that their former partners will always be each others true loves but that they could still find happiness in their old age. I also hope that the archaeologist we very briefly met near the end will be part of a future story cause I liked him! 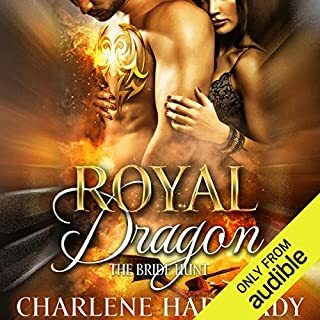 It was wonderful to listen to this story about the older Dragon shifter. I am looking forward to listening to the next book about Faye.